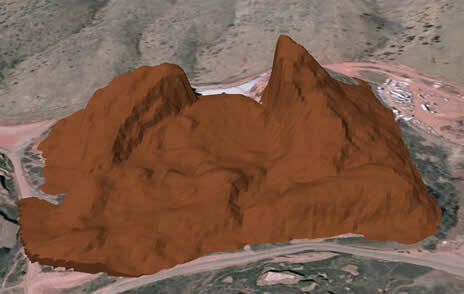 I think we’re the first offering textured, georeferenced terrain translation to KML, using the COLLADA 3D object format. 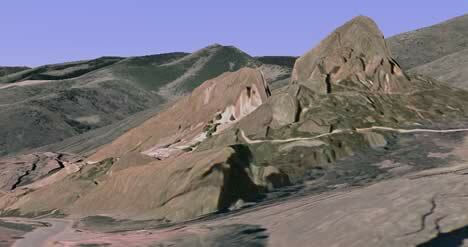 We also can do textured georeferenced buildings, and now proper fixed-size foliage. 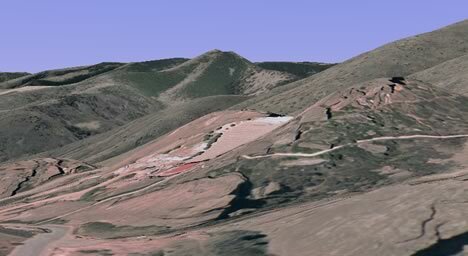 KML support in the previous version of Scene Express was criticized on this blog because KML icons were used to represent foliage, which broke Google Earth’s user interface. How does the new version fare? I haven’t seen a sample yet of the new improved foliage, so I will reserve judgement on that, but I have just seen the textured terrain feature, and this is indeed new and impressive. Previous PostShort news: Flickr heat map for GENext PostAltitude ranking: Potent patent? Here is a link to a model of the Matterhorn I did.